Most people think of acne as a teenager’s burden, but nothing could be further from the truth. Stress, hormonal fluctuations, and genetics can cause adults to experience breakouts, too. Persistent acne or severe breakouts can also lead to acne scars, one of the most common skin problems. 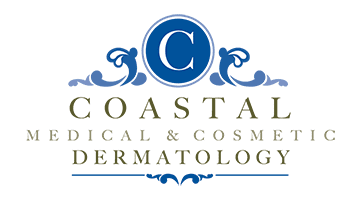 At Coastal Medical & Cosmetic Dermatology in San Diego, La Jolla, and Chula Vista, California, board-certified dermatologist Dr. Darrell Gonzales provides comprehensive acne care, including laser treatments to reduce the appearance of scars. Call the office or book your appointment online. Acne, which typically appears on the face neck, chest, back, or shoulders, is usually caused by hair follicles that have become plugged with oil and dead skin cells. When bacteria that lives on your skin gets inside oil-clogged pores and multiplies, it can result in deep inflammation and painful acne cysts. Although acne is most prevalent among teenagers, the number of adults affected by the problem is growing. Women, in particular, are experiencing acne more often in their 30s, 40s, and even 50s. Chronic acne can seem like a never-ending cycle — just as one breakout clears up, a new one appears. Allowing acne to simply run its course may seem like an acceptable solution, but allowing the condition to go untreated it can lead to permanent skin flaws like dark spots and scarring. Beginning an acne treatment protocol as early as possible can lower your risk of lasting damage. There are a variety of effective acne treatment options. Combining personalized skin care products with in-office treatments, like customized chemical peels, can improve the texture of your skin and help eliminate breakouts. Oral medication is often prescribed for more severe cases. While acne can’t be cured, it can be minimized and kept under control. As acne clears, your body grows collagen to support the healing process. If your body produces too much collagen, it causes raised acne scars, which typically appear on the chest and back. If your body produces too little collagen, it causes depressed acne scars, or the small pits along the surface of your skin that typically appear on the face. How does laser therapy benefit acne scars? Laser skin treatments are an effective way to diminish acne scars or erase them altogether. This state-of-the-art technology works by delivering precision light beams deep into the dermis of your skin, where they cause miniscule perforations in the scar tissue. These micro-injuries trigger your body’s healing response, which stimulates collagen growth and helps tighten underlying tissues. The result? Clearer, smoother skin with a more even complexion. Laser treatments for acne scars promote healthier skin with few potential side effects. The therapy can be used to treat acne scarring on any part of your body, and it’s an excellent choice for patients who want to address widespread scarring.